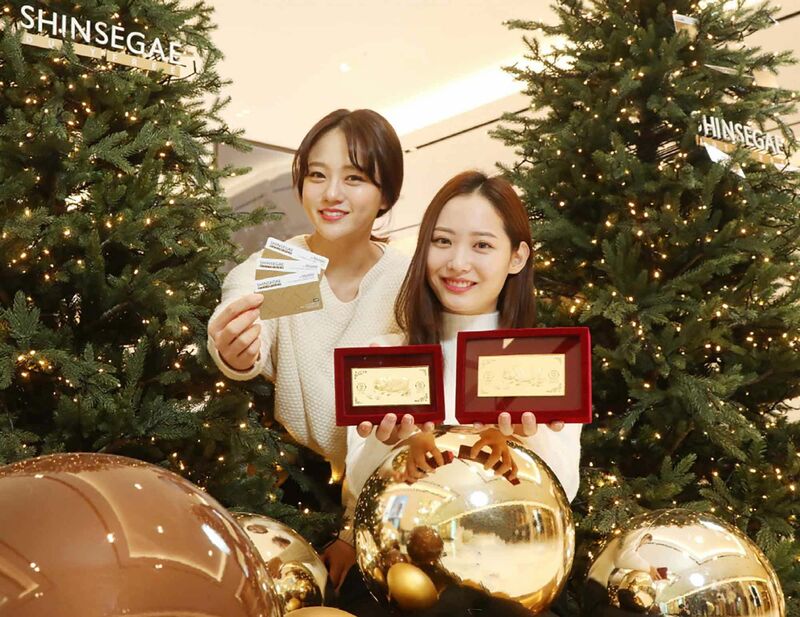 Shinsegae Duty Free has launched what it is calling a “massive giveaway” for foreign customers to mark the Year of the Golden Pig. Its online store is hosting a lucky draw for customers and is offering an array of prizes, including a Chow Tai Fook gold bar ( 18.75g), spoons and mini-pigs made of gold. A ‘Golden Pig Lotto Event’ offers a range of opportunities based on purchase amount and date of online viewing. The action isn’t confined to online, however. Shinsegae Duty Free store customers who spend more than the qualifying US$1 through to 21 February have the chance to win a range of Chow Tai Fook gifts. These include a 100g gold bar for the first-placed scratch card winner, a gold coin (about 15g) to fifteen second-place winners, and KW30,000 (US$26.60) pre-paid cards to other winners. Shinsegae Duty Free is also offering a range of golden pig-themed seasonal items, including Givenchy clutch bags and Montblanc notebooks. 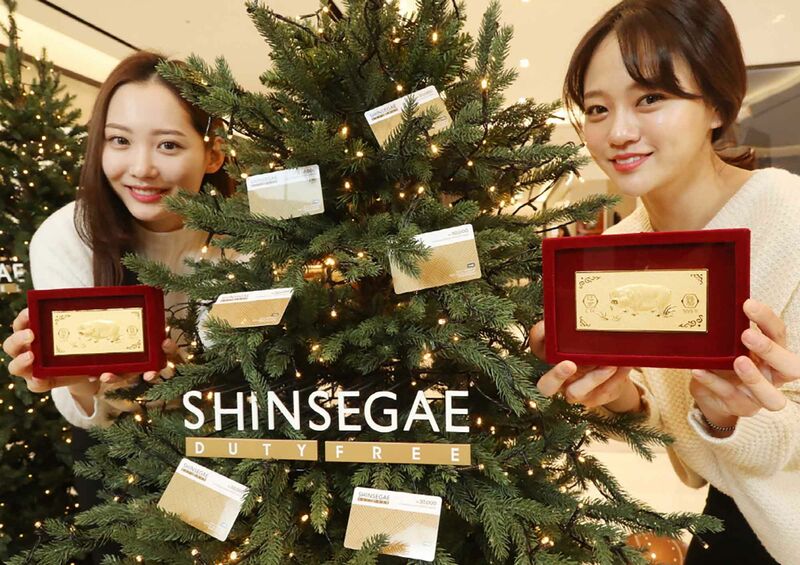 Shinsegae Duty Free is offering the seasonal incentives both through its online platform (pictured above) and physical stores. 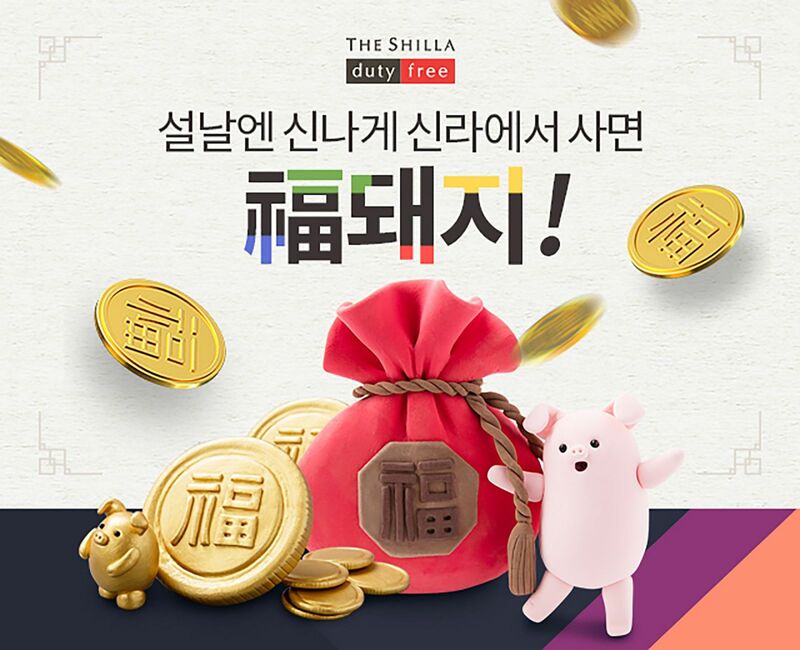 Fellow Korean travel retailer Shilla Duty Free launched its Lunar New Year marketing campaign with an array of online and in-store discounts and other promotions aimed at Chinese customers. A live-streaming event featuring ‘wanghong’ – Chinese social-media influencers – garnered an impressive 30 million online views, according to Shilla. 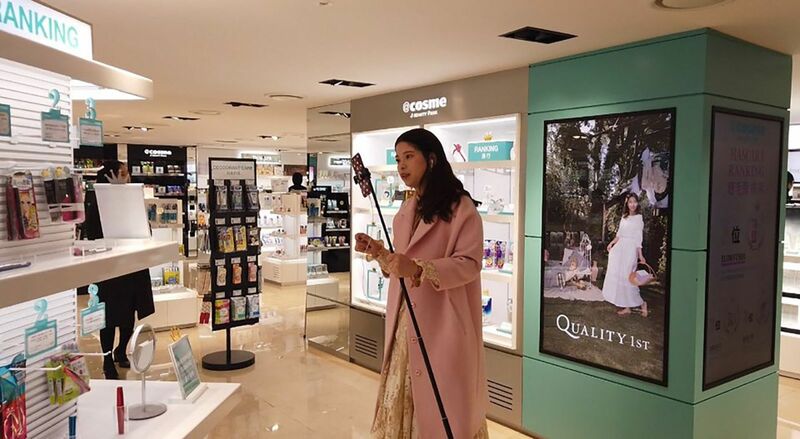 Wanghong from popular Chinese travel sites such as Mafengwo, Ctrip and Tuniu also visited The Shilla Duty Free downtown store in Seoul to promote the company and its Chinese New Year events. Promotions include the gifting of more than 2,000 prepaid gift cards and wallets that can be attached to the mobile phones of any customers spending at least US$200 at the retailer’s downtown Seoul branch. At Incheon International Airport Terminal 1, all customers who spend at least US$300 and US$500 will respectively receive US$10 and US$20 gift cards to be used on the same day. Shilla’s online stores are also offering discounts as part of the campaign. Discounts of up to 40% will be made on products including international and Korean cosmetics, fashion accessories, youth products, food and ‘daily essentials’. Customers on Shilla’s Chinese website can win prizes including a Samsung laptop, a Ctrip gift certificate worth CNY3,000 (US$341), a one-night stay at the Shilla Hotel and gift cards. 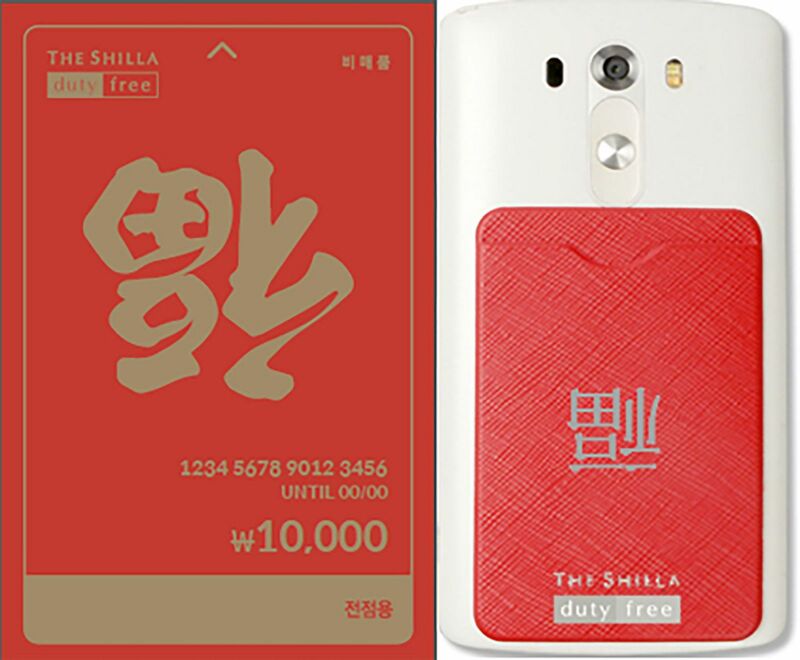 Piggy bank: The Shilla Duty Free is running a series of promotions both online and in-store. 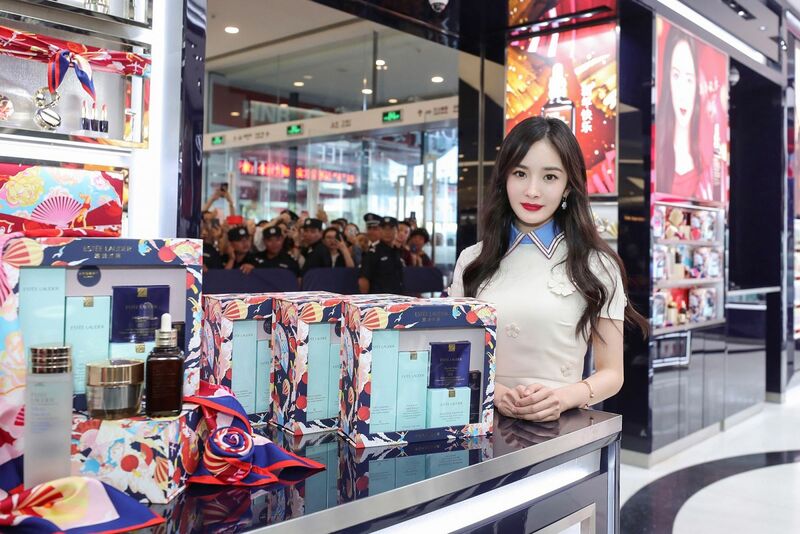 Chinese actress and singer Yang Mi, who is also an Estée Lauder Asia Pacific Spokesmodel, proved to be a showstopper as the American beauty powerhouse launched a Chinese New Year exhibition space at China Duty Free Group’s Haitang Bay International Shopping Complex. Estée Lauder’s renovated 1,510sq ft flagship store – the brand’s largest in travel retail – is designed to offer a fresh, dynamic and welcoming environment. 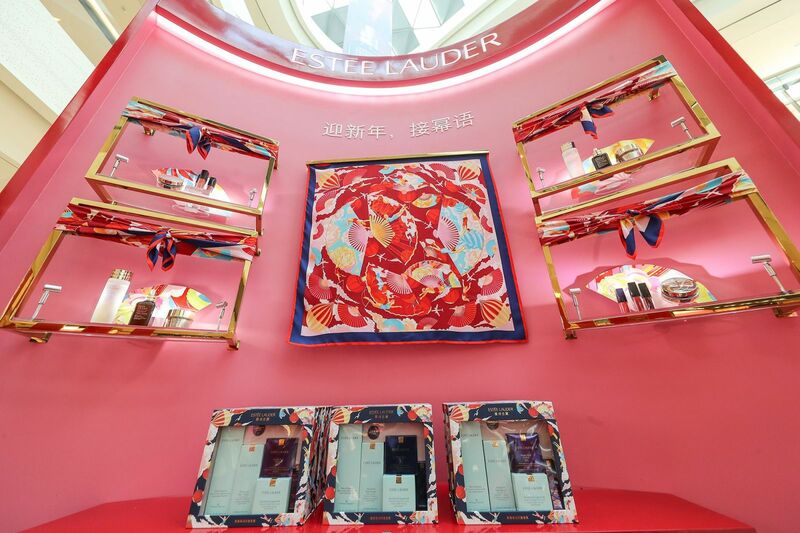 Shoppers could explore the Chinese New Year-themed environment of the store and purchase a limited-edition Yang Mi x Estée Lauder beauty set. Fans who purchased the set received a limited-edition scarf designed by Chinese artist Trajan Jia exclusively for Estée Lauder. Inspired by the Chinese New Year tradition of gift giving, Trajan Jia merges the visual styles of both East and West into an embodiment of the spirit of the festive season as well as Estée Lauder fans’ love of travel. Thanks to the KOLs in attendance the launch will have been viewed by a huge audience throughout China and the world on social media. Star power: Yang Mi with the exclusive limited-edition Yang Mi x Estée Lauder set. 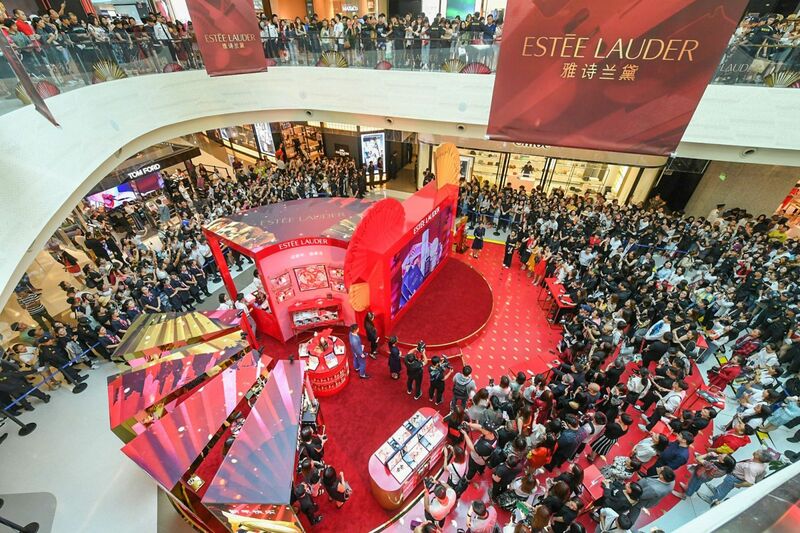 KOLs, press and hundreds of shoppers gathered to welcome Yang Mi at Estée Lauder’s Chinese New Year exhibition space in Haitang Bay. Fans who purchase the Yang Mi x Estée Lauder set also receive a limited-edition scarf designed by Chinese artist Trajan Jia exclusively for Estée Lauder.